The V8 engine is arguably the best powerplant a passenger vehicle can have. This engine configuration is relatively light and compact, so it can go in the front, middle or back of the car. The V8 engine always provides a healthy amount of power, torque and performance. It is the best unit for powering sports cars. Besides the performance, a V8 can produce a lot of torque, which is crucial for trucks and other working vehicles. Although there are other, more advanced engine configurations like those V10 or V12 cylinder units, the V8 is still the king. It represents the perfect balance between cost of production and quality. For those who don’t know, the V8 engine got its name because it comes with eight cylinders in a V shape with the angle between the cylinder heads. The first mass-produced V8 engine was Ford`s famous Flathead V8 in 1932. After that, almost all major car manufacturers presented V8 engines with various displacements or power levels. Even though V8 engines use more fuel than six-cylinder units, there are many V8 choices on the market today. It is safe to say that drivers live in the golden age of V8 power. There are so many V8 engines domestic car makers offer, as well as foreign companies, too. Here is a list of 14 best modern V8s. Some of the engines you may already know or possibly have in your car or truck. They have discontinued some engines, but still are available in slightly used cars. Some are exotics, and some are common U.S.-built V8 units. However, all those engines represent the pinnacle of engineering excellence regarding power, performance and sound, which is one of the best characteristics of any V8. 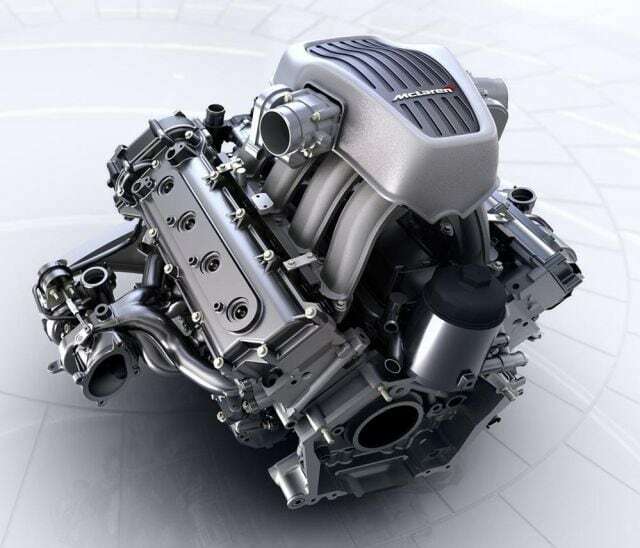 What is the greatest feature of the new Corvette C7 Z06, aside from a great chassis, design and legacy? It’s the small block 6.2-liter V8 engine with a big supercharger on top. It provides 650 HP and 650 lb-ft of torque, which is an astonishing number. This LT4 engine is the evolution of a long line of Chevrolet’s small-block engines dating back to 1955. Despite the advanced technology other manufacturers use, Chevrolet is still faithful to its simple yet effective formula. It includes a single camshaft and valve lifters. In comparison to some other high tech V8s on this list, Chevrolet’s solution may seem primitive, but there is no denying the results. A combination of classic analog engineering with a massive supercharger equals 650 HP, smoky burnouts and a true V8 legend.